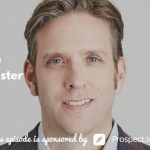 A sales manager role can cost a lot, so today I’m sharing five areas where sales managers typically have struggles as well as some insights you can apply to your own practice. When your sales team is just going in circles, without a clear direction as to where they’re going or what they need to achieve, this leads to a higher turnover rate. Also, not getting clarity from the management leads to lack of performance. Vanity numbers are the bigger numbers that look good but there’s really nothing inside. For instance, this could be the number of calls you make. Solution: Focus on the results from that call. Look at the number of appointments made rather than just the number of calls. Focus on outcomes, not vanity numbers. Solution: Teach correct principles and you let people govern themselves. 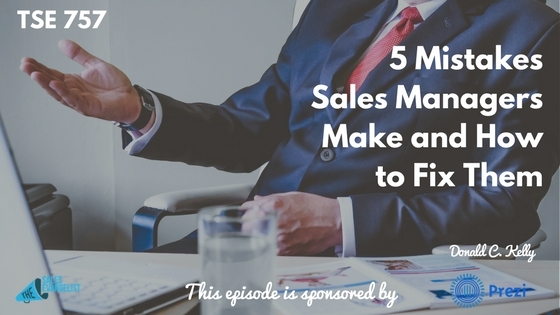 Find time to sit down with your sales reps. Solution: Sit down with the sales rep and help them identify the key indicators and see where they’re performing. Guide them and figure ways they can try to improve. Set one-on-one coaching once a week to new reps. But top sellers need coaching too. 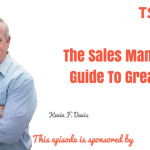 Product training is great but it’s not the only thing sellers need. You’ve got to teach them how to sell. Solution: Bring someone in who can give a talk to them. For instance, I have 6-week training approach where I meet with the sales team. Then I help them develop processes to help guide them. Or get them to join the TSE Hustler’s League. This is based on the book, The 12 Week Year, where you have to focus only on just 12 weeks at a time. Set that goal and see how it can significantly improve your career and life in general.